ORLANDO, Fla. — The Orlando market is one of many fast-growing hubs of all things tourism and entertainment in the country. Anchored by the titans Universal and Disney, the city has long yielded numerous other attractions, venues, restaurants and ancillary businesses to service the ever-expanding tourist market. Today, PrimeTime Amusements in conjunction with Dezer Properties has taken one giant leap forward with the acquisition of the former Artegon Mall located on International Drive. PrimeTime Amusements has been growing at a rapid clip. Though headquartered in Fort Lauderdale, the bulk of the company’s operations reside in Orlando. The number of arcade locations operating PrimeTime Amusements machines will continue to rise over the years (expected to be well into the 3000’s by years end), and as such, a new base of operations in Orlando, was necessary, and the former Artegon mall will not only provide ample storage space, but is also centrally located in terms of other venues being operated by PrimeTime Amusements. Beyond that, it was a unique economic opportunity given the purchase price that David Goldfarb could simply not pass up, especially given that the majority owner, Michael Dezer has built a billion-dollar empire on real estate his entire life. “When you’re offered a chance to buy into real estate, by Michael Dezer, you don’t say no. You don’t even think about it twice. You say yes and sign on the dotted line as his expertise in real estate knows no bounds. 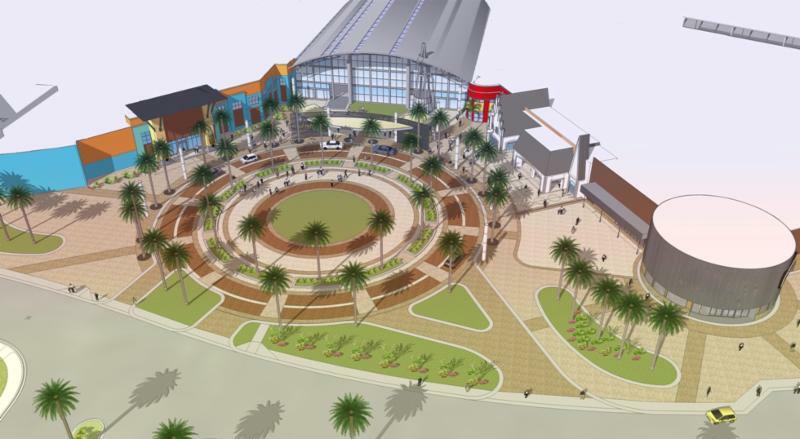 He is a winner, and whatever happens with the property, will end up being a win, and I’m more than happy to be on his winning team.” Dezer, the principal in this property, foresees a major mixed-use redevelopment plan that will be in-line with the increasing tourist market in Orlando. Though partners at the very successful 230,000 square-foot Xtreme Action Park in Fort Lauderdale, for now, that is not the intended plan for the 104-acre property. A PrimeTime game-room has been discussed, but nothing more than preliminary brainstorming has occurred; this property was not acquired for the sole purposes of opening an Xtreme Action Park. Many have attempted to connect the dots between the partners, but as of right now, nothing is set in stone. “I think a lot of people assumed this was bought solely for the purpose of opening a second Xtreme Action Park in a different market. The fact of the matter is, the building is in excess of 800,000 square feet, and because of that it and its other elements, it holds a huge potential for something that is both bigger and will make an impact in the Orlando market. I could do an Xtreme, but competing against Disney and Universal is a tall order”, said Goldfarb. The property has been in disarray for more than a decade, and now Dezer and Goldfarb with their respective backgrounds will implement their plans to make the 100+ acre property a must-visit in the Orlando area. Comments Off on PrimeTime Amusements: Setting The Record Straight • Extra! Extra!